Last year, Bitdefender Internet Security 2016 exited us. So what can we expect this year? With the punctuality of a Swiss Watch, the antivirus editor is offering us again a new version of its popular security suite. A version which will help Bitdefender prove that it is still way ahead of its time. Nowadays, the so-called ‘classic’ viruses are no longer the only threat that lurks on the internet. So, is Bitdefender Internet Security 2017 keeping up with the changing times? Does it offer a sufficient protection on a daily basis? That’s what we’re going to check in our test. 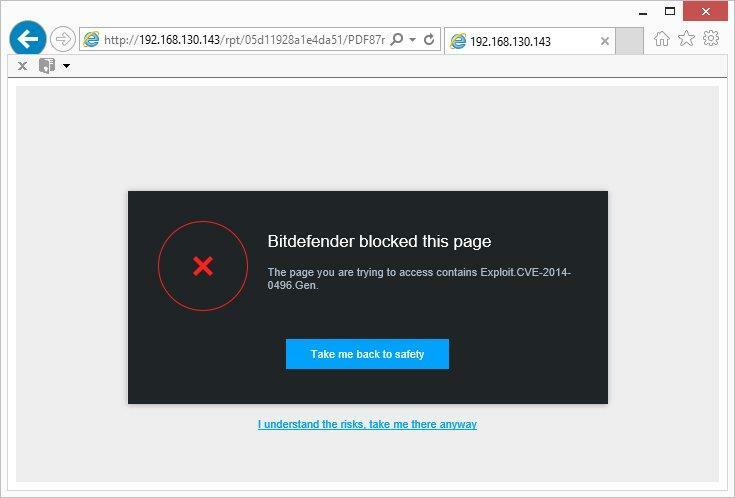 It’s a fact that sometimes our antivirus tests go wrong as early as the installation step, however, this was never the case for Bitdefender and it isn’t this year either. The installer, which you can get on our website, launches without a hitch. Promptly, the software asks the user to identify himself with a Bitdefender Central account. This system which was integrated last year has met nothing but positive reception. It allows to centralize installations of antiviruses on different devices and see the full list from a single web page. 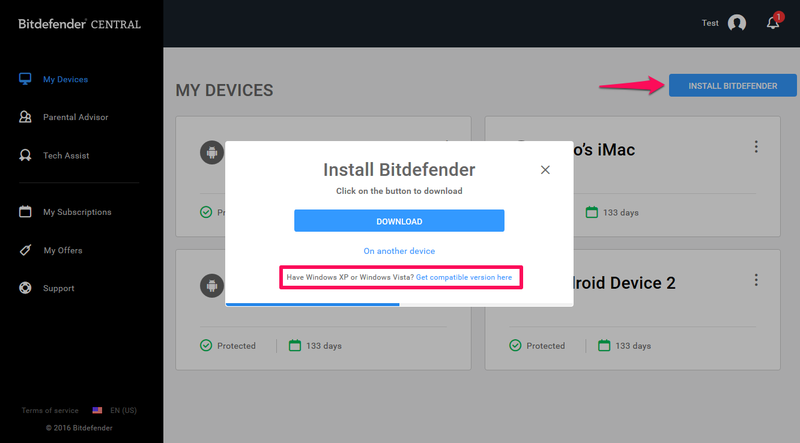 It is actually possible to install the antivirus directly from this web page by clicking on “my devices” then on “install Bitdefender”. 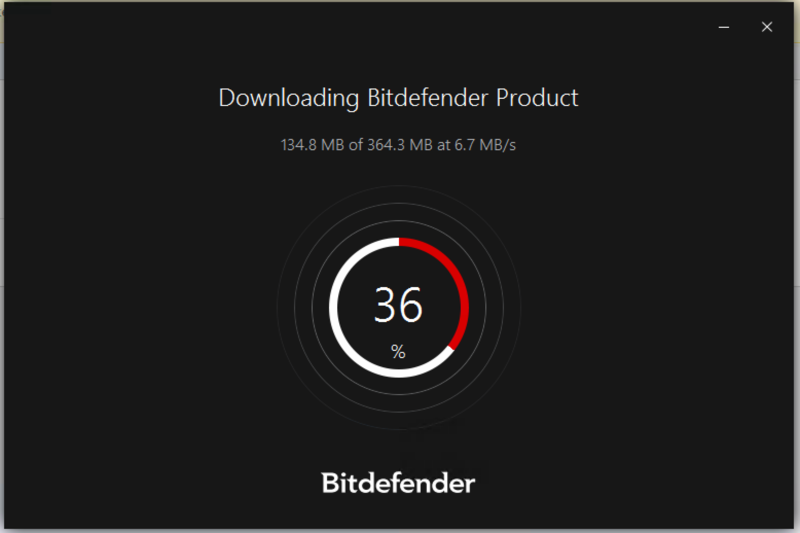 During the installation, Bitdefender Internet Security 2017 takes the opportunity to carry out its first analysis, a totally discreet one. Once installed, the software interface appears. Bitdefender has redesigned its antivirus’ homepage. The software kept its tiles system and added a sidebar that allows to easily navigate between the features of the program. It has a tab for antivirus protection, another tab for other features such as SafePay or the passwords manager and a third tab to enjoy other tools by opting for Bitdefender Total Security 2017. The signature widget is still there and remains faithful to its 2016 version. Bitdefender offers a simplified use through a touch screen. After using this new interface, it seemed more intuitive than the former one to us. It allows for an easier navigation through the menus. 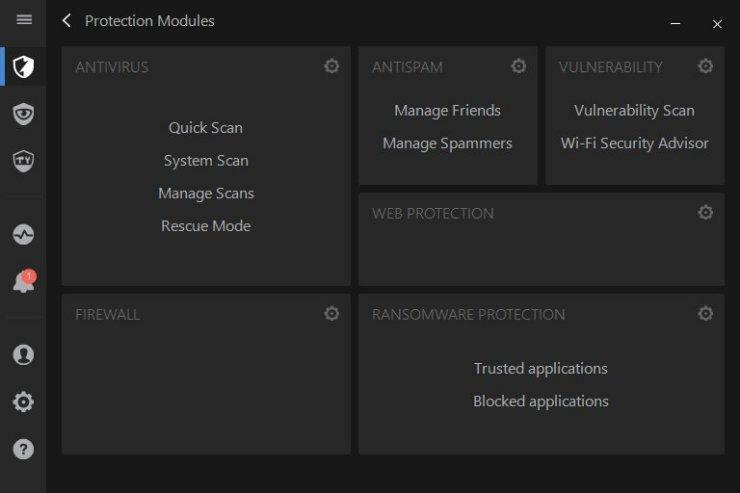 In addition, Bitdefender has kept a “see modules” button that displays very comprehensive windows listing all of the available features. Bitdefender has accustomed us to a very good performance when it comes to virus detection in the past. This year once again, we were not disappointed. As soon as we connected our infected USB stick, the antivirus intervened and started an analysis of the device. We then analyzed a bunch of threat samples of all kinds including malwares, viruses as well as ransomwares, which are very common these days. Bitdefender Internet Security 2017 proved to be particularly responsive whether during the identification of threats or during their removal. Indeed, after the end of the analysis, the software prompts us to decide what to do with the threats: quarantine, delete, or do nothing. In a few minutes, our device was completely cleaned. Let’s focus a little bit on ransomware. When they began to spread, Bitdefender was one of the first to offer a tool to stop them. This year again, Bitdefender has further improved its engine and showcased its effectiveness when it comes to ransomware. At any rate, for the samples that we have analyzed, the analyses of Bitdefender Internet Security 2017 have been successful. 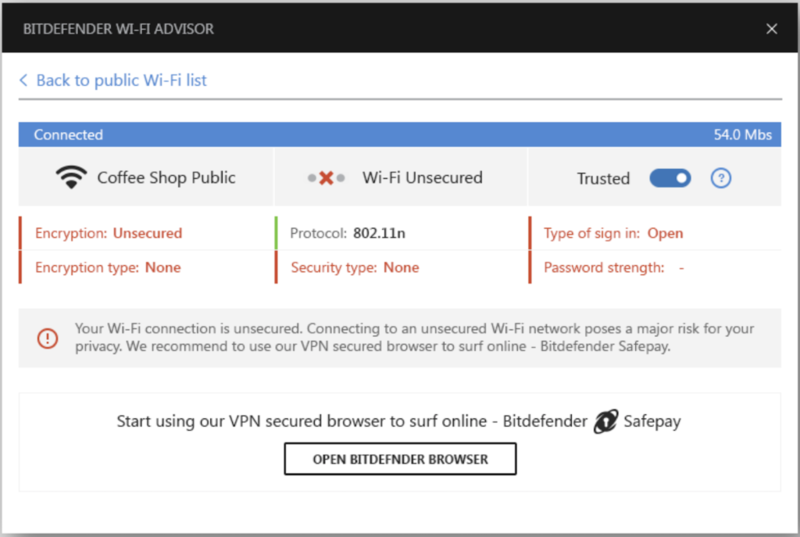 As a new feature in this 2017 release, Bitdefender offers a module that analyzes Wi-Fi networks to tell you if they are safe or not. It works both on domestic and public networks and warns the users by security alerts if there is any problem. For web protection, Bitdefender also gets a perfect score. After installing the offered widget on Firefox, we tried to access malicious sites and have been stopped every time. There is also the SafePay module that allows you to pay securely online. In short, Bitdefender delivered a classic that works well. We also took the time to check the Parental Control feature. Last year, it did not entirely convince us because of some configuration issues. This year, the problems seem to have been solved. It was very easy to block access to categories of websites and even specific URLs. 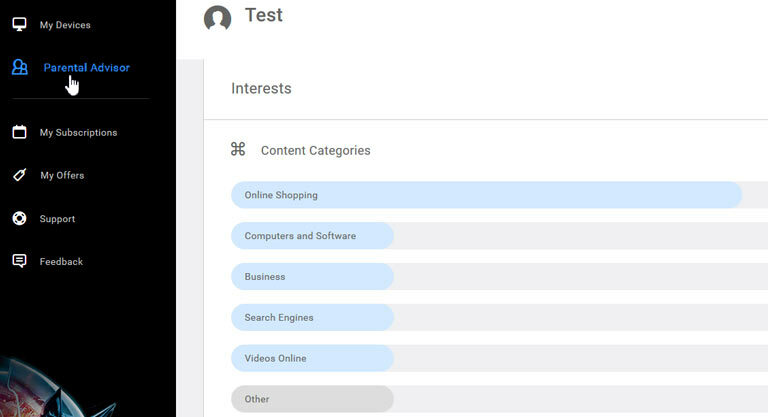 It is always possible to customize the rules based on the profile of the child and it is also possible to have access to a dashboard that lists his activities when he is using the computer. Note that everything still goes through a web page linking to your Bitdefender Central account. As a bonus, Bitdefender Internet Security 2017 also offers a file shredder as well as a file encryption feature that secures everything you put into a folder of your choice, which will then be protected. Those who have not yet chosen a software to manage their passwords will enjoy Bitdefender Password Manager which manages everything for you. Finally, we also appreciated the settings that are still as complete as ever. Also, a special mention for the profiles that adapt automatically according to what you do on your computer. If you are watching a movie, the antivirus will not show up on screen. 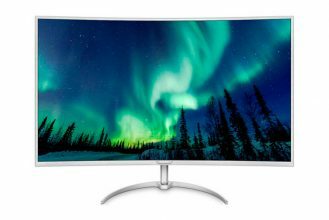 Same thing if you are playing a game, Bitdefender Internet Security 2017 may even boost your computer’s performance. In short, it’s efficient and it works. This year again, Bitdefender won us over. The new version of Internet Security is still as efficient as ever. 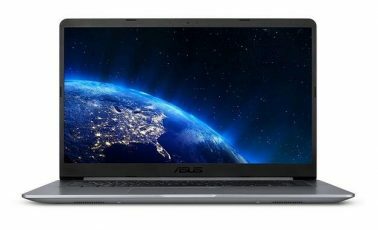 When running, the antivirus is very discreet and not very greedy when it comes to computer resources which is not negligible if you also run big software. The new features are few but allow to solve the few issues that we reported last year: Parental Control is now more intuitive. 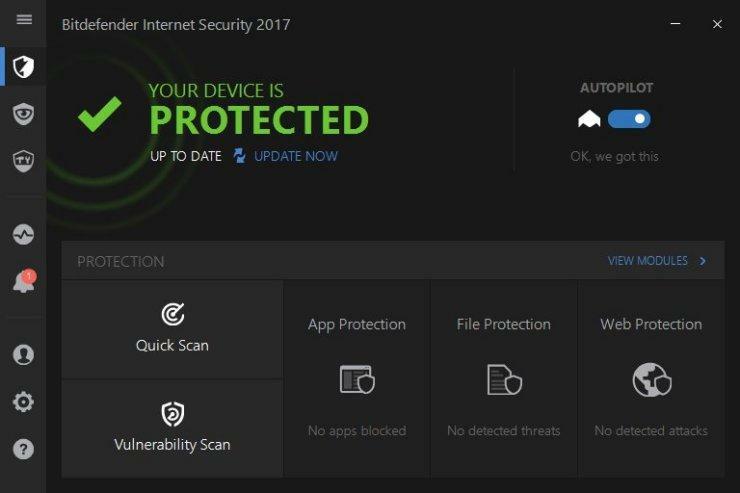 The interface change is a welcome addition and Bitdefender Internet Security 2017 is now even more pleasant to use. The additional features still work perfectly and we were even amazed by the antimalware filter that successfully detected all malicious websites that we submitted. Finally, the ransomware protection will definitely convince even the most skeptical users, a proof that Bitdefender knows how to adapt to the current needs of the users.